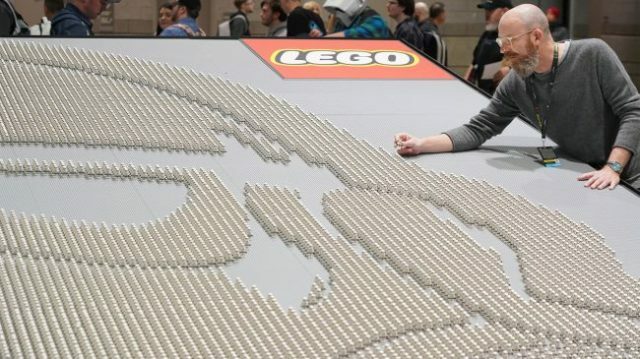 Lego used an out-of-this-world franchise to beat a Guinness World Record. The Danish building-block company just announced the largest display ever of Lego “Star Wars” minifigures. You can see the display for yourself at “Star Wars” Celebration in Chicago this weekend. “Two decades’ worth of products, content and collaboration between two of the world’s most beloved brands will be showcased at Booth No. 1616 at McCormick Place in downtown Chicago, giving fans of all ages the chance to relive their fandom and build excitement for what’s to come this fall,” The Lego Group said in a statement.